Chefs Yoshihito Kida and Mika Ohie were both born in Japan (Tokyo and Hokkaido, respectively), but met in the kitchens of Yakitori Totto and Soba Totto, before deciding to strike out on their own. 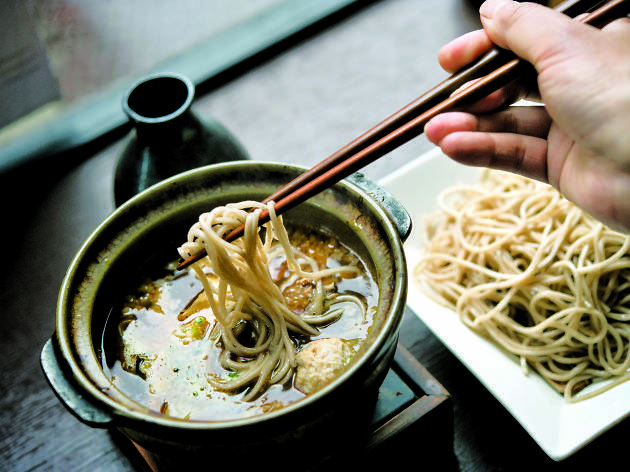 This soba shop's name translates to "heartwarming," but it could also be dubbed heart-healthy for its fiber-rich, low-fat fare. Kida, who owned a soba restaurant back in Japan, makes the buckwheat noodles in house, while Ohie focuses on sides and appetizers, like a cold house-made tofu with scallions, ginger and bonito. Cocoron is one of my favorite restaurants ever - i make it a point to eat here at least once a month. 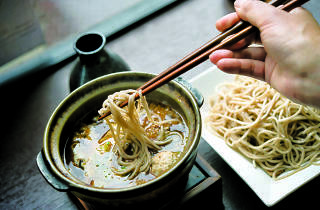 They specialize in Soba noodles, which are healthy, full of protein, and absolutely delicious. You can also adjust to the weather and order a cold dish if it's hot out, a warm bowl if it's cold, or a hybrid which is my personal favorite (cold noodles which you dip and finish cooking in a hot broth). They also have yummy appetizers - get the cucumbers, their silky tofu, and a side of their kimchi or miso coleslaw. I've been to both locations several times, and always recommend this to friends who are looking for somewhere to eat in the area. The food is super healthy, BUT most importantly it's super delicious. I always get the cold soba dipping noodles - they're so good I really can't bare to try anything new on the menu. The whole process makes you really enjoy the food more, compared to some Ramen places where you eat as quickly as you can, then leave. On top of all this, it's REALLY cheap. You can easy eat and drink for under 20 dollars each, and leave feeling full and satisfied.